You are here: Home / LIFESTYLE / Connecting Friends with Hallmark! I don’t know about all of you, but I am exhausted right now! Cap and I have been swamped. This weekend alone, he had two work events and we had two family events. After a 12 hour day yesterday that ended with 2 hours of travel time, I fell into bed. I was so tired. When things get like this, it is really easy to get distracted from what is important. I have been living on my to-do list and not spending much time celebrating the good things or people in my life, so I decided I needed to take an extra minute or two out of my schedule to give out some love and support. I still get really excited when I receive surprise snail mail, which is why I turned to Hallmarks‘ card options!! There were a few people I have been wanting to reach out to, so I decided to have a little Throwback Thursday of my own and printed a couple pictures at Walmart to send with the cards I picked out. I have a close friend from college that I just don’t get to talk to very much! It is so hard going from living with your best friends to being so far spread out. It is really the hardest adjustment for me since leaving college. Being on a two hour time difference just makes it tricky to connect during a busy work week, but that doesn’t mean I don’t think about her! 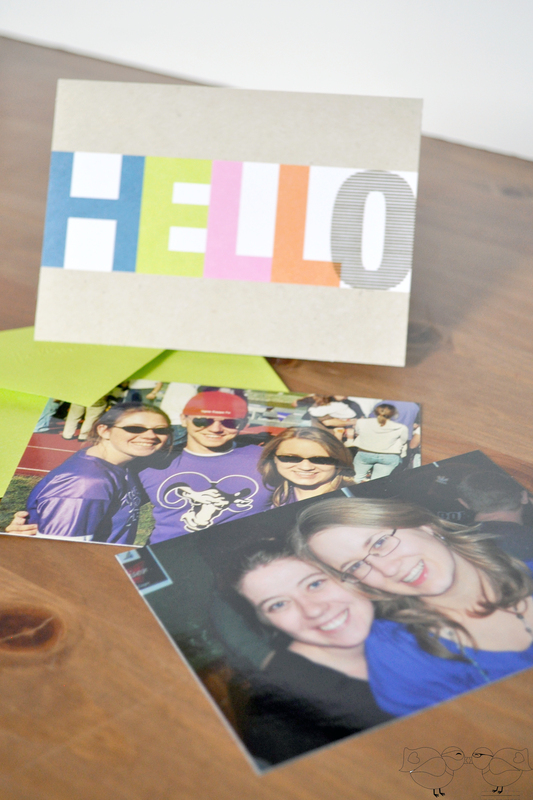 Therefore, I decided to print out a couple pictures from our college days and send them along with a HELLO card! Even if we don’t talk very often, I want her to know that I still care. Then, I printed an old photo of my sister and I that I stumbled across from Halloween many years ago. She has been going through a ton of changes with a big move to Florida coming up, so I thought it would be nice to send her something fun. Plus, she has been really supportive over the years – including going trick or treating with me in this photo when she didn’t want to and in encouraging me as I grow The Love Nerds. I wanted her to know that I see that and am thankful for it everyday! Great general cards are also perfect to send for big moments. Cap mentioned sending a congratulations card to one of his best friends back home in Minnesota. She passed a big test to earn her PT certificate, so we wanted to celebrate!! They have been friends for a long time, and he thinks of her as family. Taking time to appreciate such a friend is important! 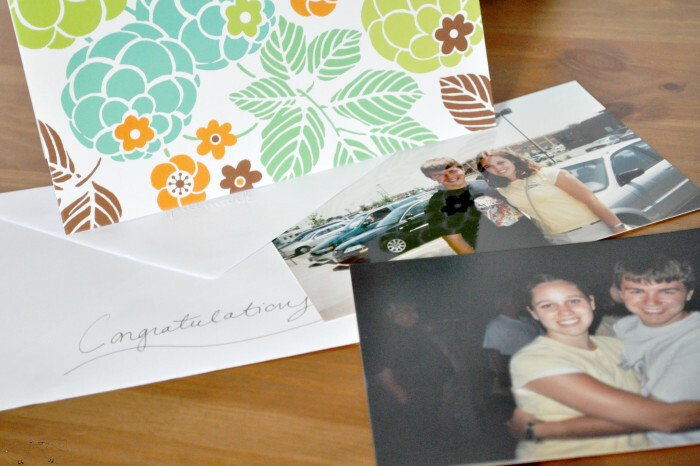 We can say thank you over FB or the phone, but I like the idea of sending her a card with photos, so I thought it would be fun to print off a couple old photos of them, too. It lets her know that we took a little time out of our day to do something special for her! Lastly, with our busy schedules lately, I thought my husband could use a card of his own! I printed a picture from our wedding of us laughing and a favorite picture from our engagement session. While I won’t tell you exactly what the note said, I did remind him that I will always love him. Sometimes, we all just get so busy that we forget people need affection. 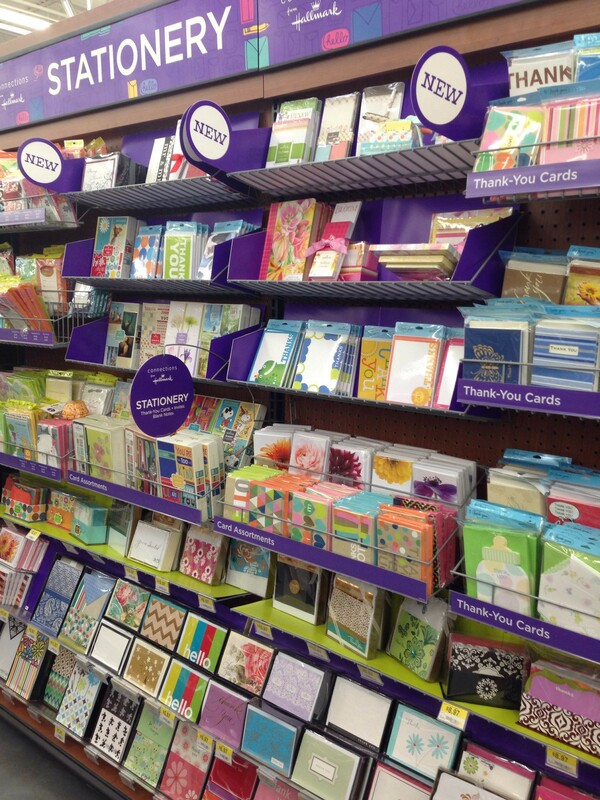 They need to be told they are loved and appreciated, and Hallmarks card selection allows us to do that easily. I am definitely going to try to make this a monthly occurrence! 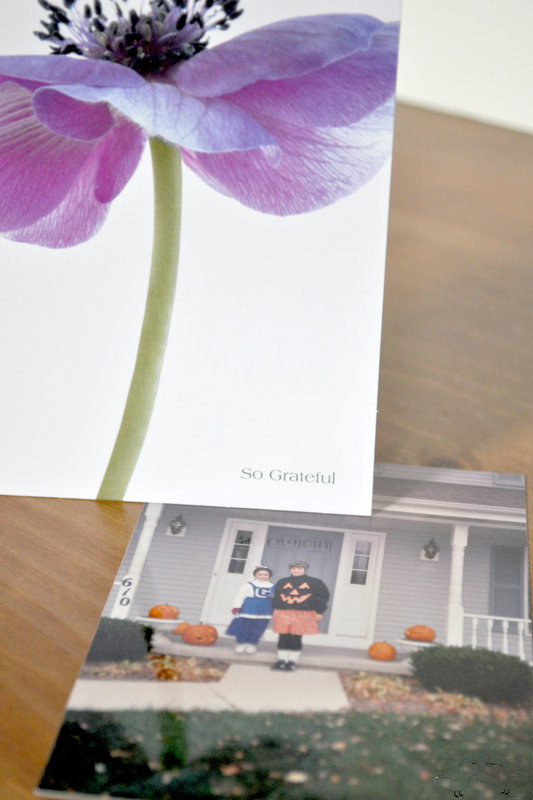 Hallmark makes it easy, too, with their fabulous Hallmark Card Rewards Program. For every 5 cards you buy, you”ll earn a reward. Plus, you can earn rewards when you shop at Walmart, not just Hallmark stores. How easy is that?! Who would you send a card to? 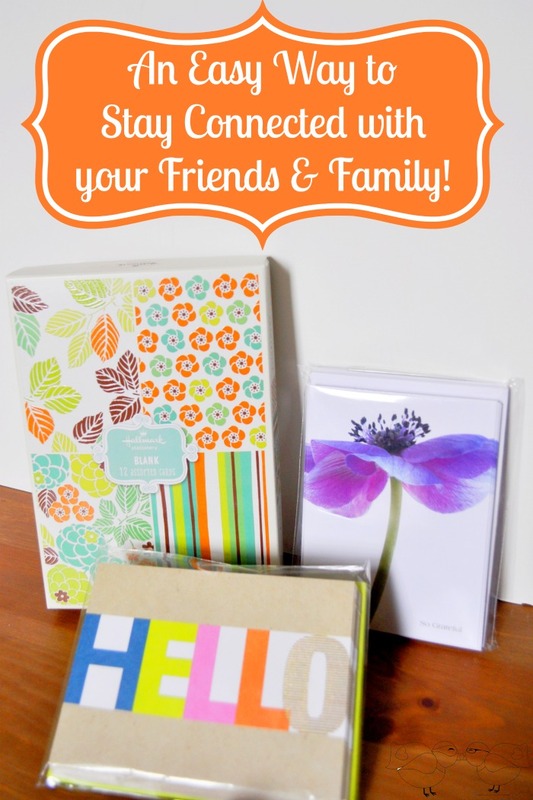 Make sure you check out http://www.connectionsfromhallmark.com/?utm_source=cbias&utm_medium=blog&utm_campaign=momday to sign up for Hallmark Rewards, and to see great content from other bloggers. Join in the #ConnectingFriends conversation on Twitter!